This practical shelving unit has adjustable shelves for functional storage and is ideal for a living room, bedroom or home office. 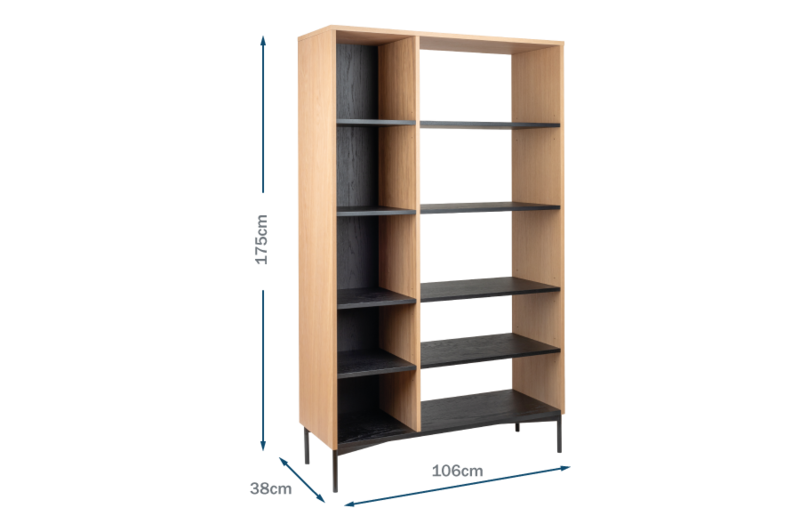 Compact design make the shelving perfect for living rooms, bedrooms or home offices. The Clifton shelving unit features movable shelves providing adjustable storage. Please note that all of the shelves are moveable except the centre shelf which is stationary.